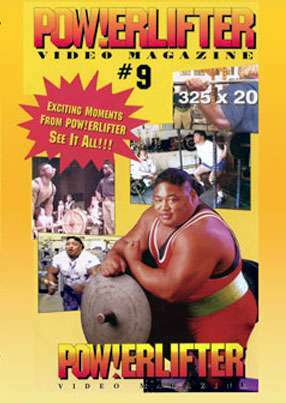 This edition features 3 of the most popular men in powerlifting in ANTHONY CLARK, C.T. FLETCHER and BULL STEWART. In this full live action DVD watch how the champions perform and train on the Bench Press, Squat and Deadlift. Understand top lifters’ techniques. This is #9 in the super popular series with each DVD around 55 minutes in length. This edition features 3 of the most popular men in powerlifting in ANTHONY CLARK, C.T. FLETCHER and BULL STEWART. Star workouts with Anthony Clark. Betsy Ojanen & C.T. Fletcher. Preview of “Bull” Stewart deadlift video. Coaches corner on the Bench Press.